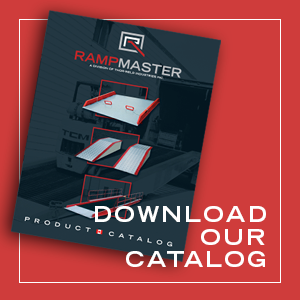 Rampmaster’s all aluminum, light weight wheel risers are available in standard heights of 6″, 8″, 10″, and 12″, with widths of 18″, 24″, or 30″. There is also a selection of deck lengths. Capacity is 24,000 lbs. per pair. 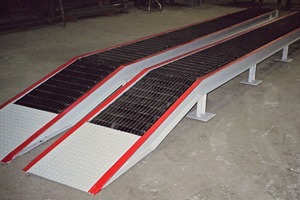 Allowing trailers to be positioned properly above a dock, wheel risers are essential for more efficient loading. 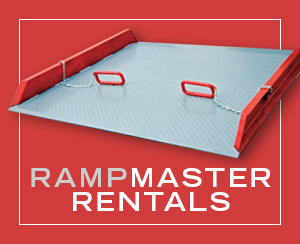 With multiple width, length and custom sizes available, they can accommodate single, dual, or tandem axle trailers. Wheel risers can be portable or permanently positioned. *Wheelrisers can also be made from steel. Quotation required. 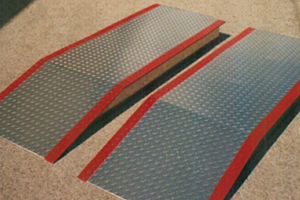 Steel treadplate wheel risers can also be built in the same sizes as aluminum. Higher capacities can also be achieved. Standard – 24,000 lb. capacity for all aluminum risers. 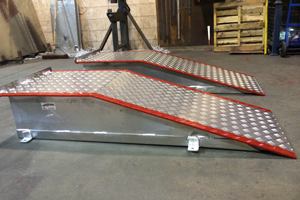 Special Custom wheel risers mad from our two inch thick steel serrated decking and a steel channel frame.